Please don’t be a victim. Amicalola EMC uses an automated telephone message to notify you of a past due bill. If you receive a call regarding your power bill, and it just doesn’t sound right, please don’t fall victim to a scam. Scam artists are getting more clever by the day and we don’t want you to be a victim. Hang up, call back to your local office and ask the member services representative to give you a summary of your account. Or call the local office and use the automated system to verify what you owe and pay it over the phone. Time to claim college scholarships! Earlier this year, we awarded 125 college scholarships. It’s now time to claim them! Go to www.amicalolaemc.com, My Community, Scholarships and complete the online “2018 Scholarship Award Form” with information on where to send your money. Deadline to claim is September 30, 2018. For more information, email staceyf@amicalolaemc.com. Dedication day is almost here! After working hard for over a year, the Pickens County Veterans Memorial Park (PCVMP) group has reached its goal – to build a memorial to pay tribute to all veterans: those who have fought to protect and serve our nation in the past, those who are serving and those who will serve in the future. The dedication service for the memorial is scheduled for August 1, at 11:00 a.m. Dedication activities include a formal military ceremony including the presentation of colors, singing of the national anthem, an Air Force flyover and a 21 gun salute. Speakers will include a representative from the Disabled American Veterans (DAV), the local post of the American Legion, a representative from the Marine Corp league, local PCVMP members and local business supporters. The memorial, built to stand the test of time to honor all veterans, will be dedicated to the five branches of military service. The memorial also incorporates a “Bricks of Honor” program, a tangible way of honoring someone who has or will serve in the military, for a $125 dollar donation. PCVMP is a non-profit, tax exempt, 502© (3) organization and donations are tax deductible. If you wish to donate in lieu of purchasing a brick, you may send a donation to PCVMP at P.O. Box 247, Talking Rock, GA 30175; or go to smile.amazon.com/ch/81-2961972 and a small portion of your purchases will be donated. This memorial will be an ongoing effort and is being made possible strictly through donations. For more information, visit www.pickensvetmemorial.com, call 706.253.0501, or email pickensvetmemorial@gmail.com. Find us on facebook at Pickens County Veterans Memorial Park. Hope to see you on August 1 at the dedication. Bright Ideas 2018 coming soon! 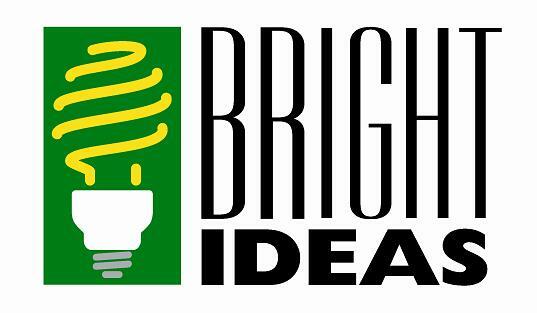 Bright Ideas 2018 coming soon! Teachers may apply online (only) beginning August 1. The 2018 Nominating Committee met on June 26, 2018, and prepared a list of nominations for election of three directors at the Annual Meeting to be held on October 6, 2018. Nominated for directors to be elected by a vote of the members at the Annual Meeting are David Pierce, representing Post #2 (Gilmer County & Fannin County); Travis Cline representing Post #5 (Cherokee County); Reggie Stowers, representing Post #8 (Lumpkin County & Dawson County). If you are headed to college and were previously awarded a scholarship, it’s time to claim your money! Please go to www.amicalolaemc.com, My Community, Scholarships and complete the 2018 Scholarship Award Form on that page. The link is on the left hand side of the page. Please email any questions or concerns to staceyf@amicalolaemc.com. Thanks! All Amicalola EMC offices will be closed on Wednesday, July 4, 2018 in observance of Independence Day.